A student, Andrea Martinets, recently passed this article on in a blog post. It has some great advice for designers of all levels. 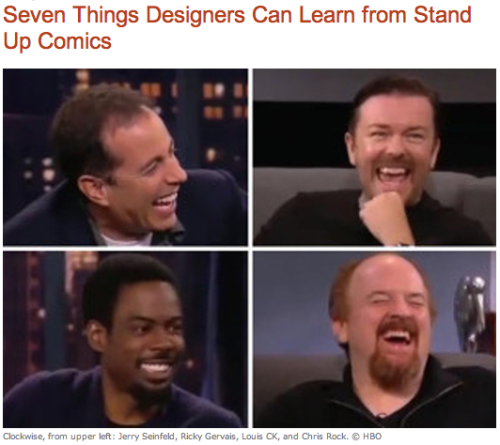 Seven Things Designers Can Learn from Stand Up Comics by Michael Bierut.